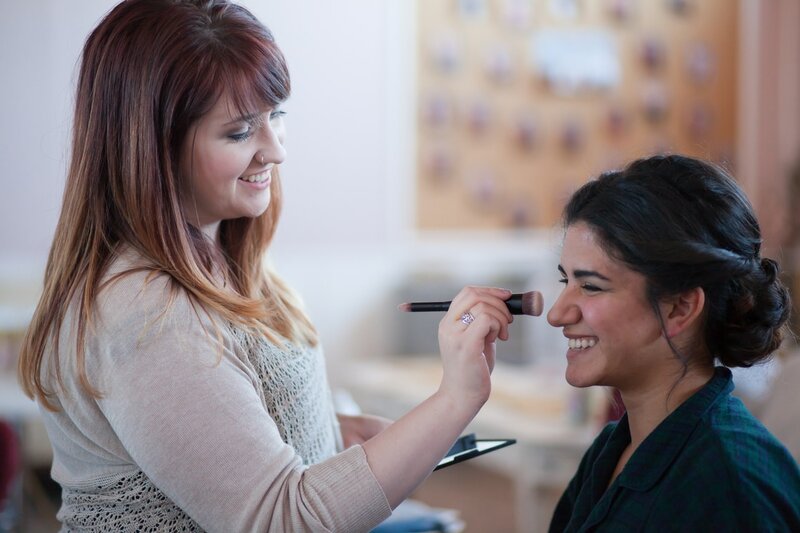 Lauren is one of our amazing hair artists who decided she loved working with clients so much, she wanted to learn the art of makeup as well so she could take care of all their needs! She started working alongside Katie in 2011 and after moving away after she got married, she missed us so much that she has come back and is working with us nearly every weekend! Lauren's recent addition to her family keeps her home during the week so she is a little limited on her availability for trial appointments, however you'll still see her working alongside other artists on bridal bookings and if your schedule just so happens to mesh with hers, she may be your lead artist.